Now beardless reggae singer Matisyahu reportedly roughed up a photographer at a concert in New York last night (December 21), with the shooter claiming the performer kicked her in the face and damaged her equipment. Papermag contributor Rebecca Smeyne wrote today (December 22) that while covering the singer's "Festival of Light" Hanukkah show at the Music Hall of Williamsburg, Matisyahu singled her out and attacked her. She writes that a photo pass was pre-arranged and specified no restrictions for her shooting, but the singer apparently got irate at how many snaps she took. Following a part in the performance where Matisyahu lit a giant menorah, Smeyne explains that the artist made his way out into the crowd and towards her. "The person in front of me moved and the next thing I knew Matisyahu's foot was on my face and I fell to the ground. At first I assumed he was trying to crowdsurf, that he wasn't deliberately trying to step on me. But when I got up, he was in the middle of the audience," the writer reports. "When I turned to look at him, he charged at me and attempted to forcefully wrestle the camera away from me. I had the camera strap wrapped around my wrist several times, and I held the body tightly with both hands. Finally, he ripped the external flash off the top of the camera, leaving wires exposed. Suffice to say, this is not an inexpensive piece of equipment, and he had clearly damaged it deliberately." Shortly after the incident, she tweeted, "I was just attacked by Matisyahu calling cops pressing charges," and "Wtf! He kicked me in face and broke my camera!!!!!" The cops arrived on-scene and Smeyne received an apology from management over Matisyahu's "out of character" behaviour, and was quickly offered a cash settlement to quash the situation immediately. "He gave me a fat stack of bills, and I thanked the police for coming out and called it a night," the photographer admitted. 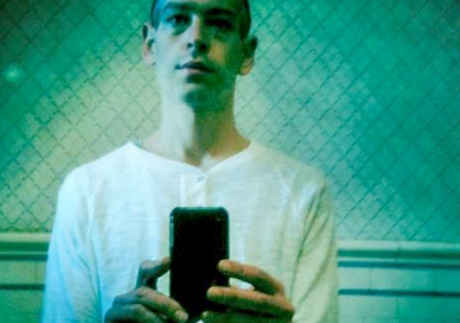 Matisyahu took to his defence earlier today via his Twitter account. "Sorry about last night. I totally snapped," he wrote, adding, "I wouldn't call it a kick, more like stepping into the crowd. And being that you've shot so many shows you should know how distracting a huge flash in your face is. Seemed like you were there everywhere I turned with that flash. Next time, be more sensitive to the performer." Smeyne shot back with "I wasn't even in the front row and as you can see in the photos I wasn't close to you at all most of the time." The journo/performer clash recalls another incident last fall when Odd Future member Left Brain reportedly slapped a female photographer at a gig. Hopefully this isn't the start of a recurring trend, but photographers, keep your heads up.